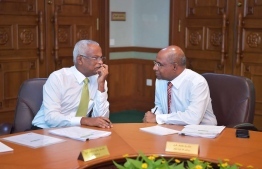 President Ibrahim Mohamed Solih, on Thursday, presented the names of newly nominated ambassadors to the Parliament for approval. Many of the appointees have previously held diplomatic posts and served as high-level government officials. Among them, Sobir and Dr. Mausoom, served in ministerial positions during the reign of former President Maumoon Abdul Gayoom. Dr. Mausoom is the current Vice-President of the Jumhooree Party (JP). Ahmed Latheef, the Director General of Transition and elder brother to Maldives Democratic Party (MDP)'s chairperson Hassan Latheef, has considerable experience in diplomacy and acted as the ambassador to China during former President Mohamed Nasheed's presidency. Wisam is the spouse of former Dhivehi Rayyithunge Party (DRP)'s Leader Thasmeen Ali.